WASHINGTON, August 28. /TASS/. The US Navy’s guided-missile destroyer Carney armed with the Aegis ballistic missile system exited the Black Sea on Monday, the press service of the US 6th Fleet said. 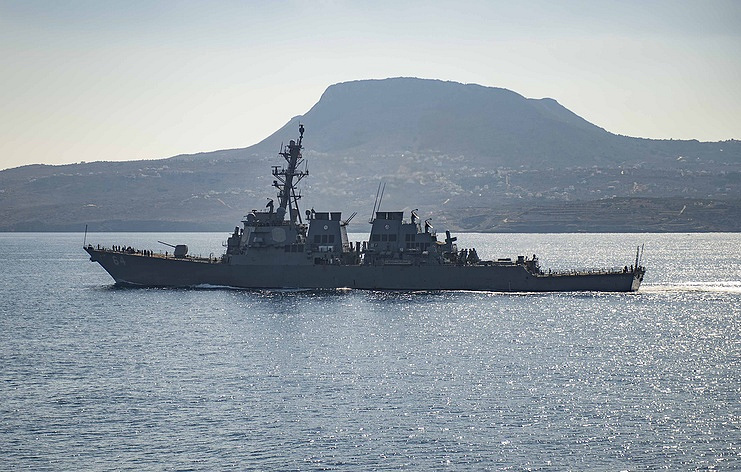 “The Arleigh Burke-class guided-missile destroyer USS Carney (DDG 64) departed the Black Sea, Aug. 27, after conducting maritime security operations and theater security engagements with allies and partners,” the statement said. Under the 1936 Montreux Convention Regarding the Regime of the Straits, warships of any non-Black Sea country are allowed to stay in the region for no more than three weeks. Carney is part of the US 6th Fleet and is the 14th ship of the Arleigh Burke-class. The 154-meter-long vessel has a displacement of 9,000 tonnes. The ship was placed into commission in 1996 and is equipped with Aegis system, Tomahawk and Harpoon missiles and also air defense systems, underwater surveillance and attack systems. Carney can also carry two Sikorsky MH-60R helicopters. Hey Buddy!, I found this information for you: "US guided-missile destroyer leaves Black Sea — Navy". Here is the website link: https://russophile.org/us-guided-missile-destroyer-leaves-black-sea-navy/. Thank you.